The opioid crisis in America has reached epidemic levels and overdose deaths continue to rise. While the destructive effects of heroin and pharmaceutical opioids ravage communities and destroy families, the federal government is considering harsh new mandatory sentences for opioid crimes, demonstrating a heart-breaking disconnect from reality when it comes to disrupting dependence on these insanely addictive and deadly drugs. Opioids in the U.S. are far more deadly than terrorism and even firearms, yet because they fall into the uncomfortable category of addiction and are primarily the result of the legal pharmaceutical industry, the problem is largely ignored by mainstream media, and the government authorized solutions don’t help. Remarkably, there is a natural medicine for treating opioid addiction which immediately stops withdrawals and detoxes opioids from the body, and also produces a deep spiritual experience that helps an addict to stay sober by showing them the source and reason for their addictive behavior and inspiring them to remain clean. Extracted from the iboga plant, which is native to the equatorial rainforests of West Africa, ibogaine is psychoactive indole alkaloid that has been known for decades to interrupt opioid addiction. Two recent observational studies have now added to the growing body of evidence in support of ibogaine as perhaps the most effective medicinal treatment known. 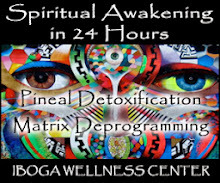 “Ibogaine is a psychoactive compound usually extracted from the West African Tabernanthe iboga plant. In animals, a single dose of ibogaine decreases signs of opioid withdrawal and produces sustained reductions in the self-administration of heroin, morphine, cocaine, nicotine and alcohol. Ibogaine is illegal in the U.S., and legal but unregulated in Canada and Mexico. New Zealand, South Africa, and Brazil authorize the use of ibogaine by licensed medical practitioners. While its mechanism of action is not yet fully understood, it differs from that of standard opioid agonist treatments such as methadone and buprenorphine which maintain dependence, and thus may show promise as an innovative pharmacotherapy for opioid addiction. The Mexico study, published on May 25, showed that ibogaine administration was associated with substantive effects on opioid withdrawal symptoms and drug use in subjects for whom other treatments had been unsuccessful. 12 out of 30 participants reported 75% reductions in their drug use 30 days following treatment, and 33% reported no opioid use three months later. Ibogaine is listed as a schedule I drug by the DEA, which implies that the drug has no medicinal value, however, under properly medically supervised conditions, ibogaine is extremely effective, as further confirmed by these two studies. It is important to note that the drug war ban on ibogaine creates a climate in which treatment with the mysterious alkaloid takes place outside of the proper care of qualified physicians, and that when dealing with opioid addicts ibogaine can indeed be dangerous. In the New Zealand study one of the participants died while undergoing treatment, and an investigation found that the death was likely related to the ingestion of ibogaine, however, it was also attributed to a failure to properly care for the patient. It needs to be said that there is no magic pill for addiction, as noted by opioid survivor Jeff Cook. Yet, given the deadly nature of the epidemic at hand and the huge and rising numbers of deaths each year, it is past time to give alternative treatments their due and make them available for those who are at risk of succumbing to opioids. This article (New Studies Confirm the Effectiveness of Ibogaine in Stopping Opioid Addiction) was originally created and published by Waking Times and is published here under a Creative Commons license with attribution to Dylan Charles and WakingTimes.com. It may be re-posted freely with proper attribution, author bio, and this copyright statement.